Dr. Nanua Singh, an academic turned influential entrepreneur, is well known for his thought leadership in transitioning conceptual ideas into successful business ventures. 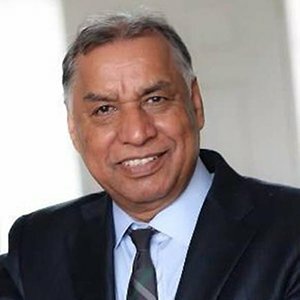 In 1997, Dr. Singh founded RGBSI with the vision of providing high tech engineering solutions to alleviate business challenges in the automotive industry. Today, RGBSI has become a major player in the provision of full range business solutions that providing strategic benefit to organizations globally through Dr. Singh’s transformational leadership. Dr. Singh’s possesses a wealth of intellectual capital that spans across the diverse segments of engineering, supply chain management, product development, manufacturing, technological innovation, and education. In his academic profession, he taught for several years at IIT Delhi in India, taught as head of Industrial Engineering at the University of Windsor in Canada, taught for 18 years in the Department of Manufacturing Systems Engineering at Wayne State University in Detroit, MI, and spent a one year sabbatical at University of Michigan in Ann Arbor, MI, and supervised over 20 Ph.Ds. Dr. Singh not only displays ingenuity through being an educator and entrepreneurial leader, but also through authorship. He has published four award winning books in engineering and close to 150 research papers in dozens of international journals. In addition to his business publications, Dr. Singh is a poet and fiction writer. In 2014, Dr. Singh was the regional finalist for the 2014 Ernst and Young Entrepreneur of the Year Award. Through the inspiration of his own successes, Dr. Singh continues to motivate RGBSI’s global organization by encouraging individuals to take on challenges and achieve the impossible.